Our Board is a hand-picked group of people – each is an experienced and respected specialist in one (or several) key fields related to our work. Libby Davies AM is the immediate past CEO of White Ribbon Australia (White Ribbon), Australia’s national primary prevention organisation with a particular focus on engaging men to be active drivers of social change to stop men's violence against women. As CEO of White Ribbon she was responsible for transformative programs to engage men in the prevention of men’s violence against women and build community capacity to be the drivers of positive social change and gender equality. Prior to this position, and in recent years, Libby has worked extensively across the social policy and community services sector holding leadership and senior executive positions and as a consultant. Libby has previously held CEO positions in national organisations such as Family Services Australia (now Family Relationships Services Australia), UnitingCare Australia and Brain Injury Australia. Libby has also served on numerous national, ministerial, state and NFP boards, including the Australian Institute of Health and Welfare and Chair of UnitingCare NSW/ACT; and advisory councils. In 2015 Libby was awarded the NSW ‘For Purpose and Social Enterprise’ Telstra Women in Business Award, winner in the 2016 100 Women of Influence Awards and finalist in University of Newcastle National Leadership Alumni Awards. In 2018 she was awarded Member of the Order of Australia in recognition of her service to the community through leadership and advisory roles. She is a graduate of the University of Newcastle, University of Sydney and completed the AICD’s course. Sarah has worked for the past 13 years for Maggie Beer Products; working closely with Maggie and leading the sales and marketing strategy. Prior to this Sarah has worked for major corporations in the food & beverage sector in marketing and sponsorship management roles. Sarah was instrumental in the formation of the Maggie Beer Foundation and she has an on-going motivation to contribute to the aged care sector. Wendy is Chief Operating Officer and Director of Mitsui Australia, subsidiary of global trading and investment conglomerate Mitsui. She has worked in both the public and private sectors. Her most recent government roles have been as Australian Consul-General in Japan, and State Director of WA/SA/NT for the Australian Trade Commission. Prior to that, she was national communications executive in corporations such as Caltex, GHD, and Ernst & Young. Her career spans three decades of global business and cross-cultural communications. One of her notable achievements has been to attract significant levels of foreign investment from Asia to benefit Australia’s food services, biotechnology, and energy sectors. Wendy has a Masters of Commerce (UNSW) and Bachelor of Arts (Sophia University, Tokyo), and is a mentor of the University of New South Wales Alumni Leaders Mentor Program to support high-achieving students. Lynn commenced her career in catering and hotel management, spending a number of years coordinating conferences and large events, as well as managing several large catering facilities where her focus was on the provision of fresh, nutritious food, at a reasonable cost, for all. Lynn has spent much of her recent career working in not for profit organisations, where she has led fundraising campaigns, implementing agreements with major supporters and partner organisations. From the outset of her executive career, Lynn has been instrumental in leading organisations to achieve measurable results in growth and efficiency, through a combination of strategic planning, incisive leadership, creative problem solving and sound governance. Lynn has utilised her customer centric approach and robust analytical skills to ensure accurate alignment of resources to effectively meet business needs and to provide financial sustainability. Peter Kenny MAICD, QPMR, MBA, BSc. 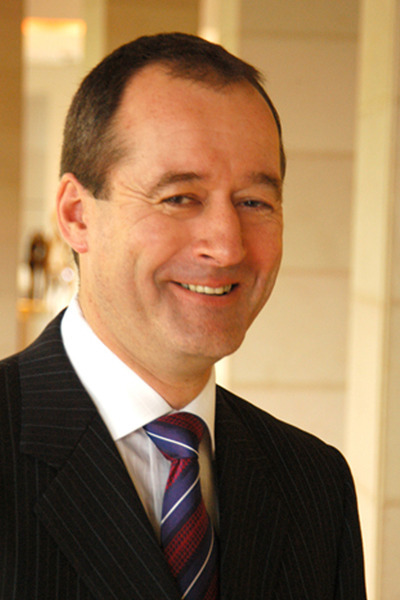 Peter has held a range of Board positions over the past 25 years. He was appointed Chairman of the Maggie Beer Foundation in 2018, after serving as one of the inaugural Directors, he was a Founding Director of Colmar Brunton, one of Australia’s largest consumer research companies and he was also Vice-President of the world’s largest network of Independent Research Companies. In this role Peter chaired the Asia Pacific region and had a global role in the development of and education in market research methodologies. Peter has also held a broad range of senior executive roles covering consulting, strategy, brand development, marketing, consumer research, retail sales, food R&D and quality control. He has personally managed over 2000 projects, ranging from due diligence to NPD and has served as an expert witness. The common threads to Peter’s career have been his interest in the food industry and an understanding of the drivers of social change. Peter won the Best Paper award at ESOMAR APAC and Best Paper at the 2016 WIN/Gallup International Congress. Peter was also a previous Chair of the National AMSRS conference. Wendy is currently the Dean and Head of School at the University of South Australia School of Law. She holds Honours degrees in both Law and Political Science, a PhD in Law from the University of Tasmania, and has previously held academic positions at the Universities of Adelaide and Tasmania. She is a recognised expert in human rights and Australian public law, having published numerous books, book chapters and journal articles that explore the intersections of international human rights norms with constitutional law, administrative law, principles of statutory interpretation and judicial discretion. Her work in these areas is widely cited, including in superior court decisions and the reports of law reform bodies, and she has consulted on a number of complex public law disputes, including High Court cases involving constitutional law. Wendy is a foundation staff member at the University of South Australia Law School, where she has been an executive member since 2007. She was the inaugural Chair of the Research Committee and Research Degrees Coordinator and filled the role of Deputy Dean from 2010 to 2014, after which she was appointed to the Dean role. 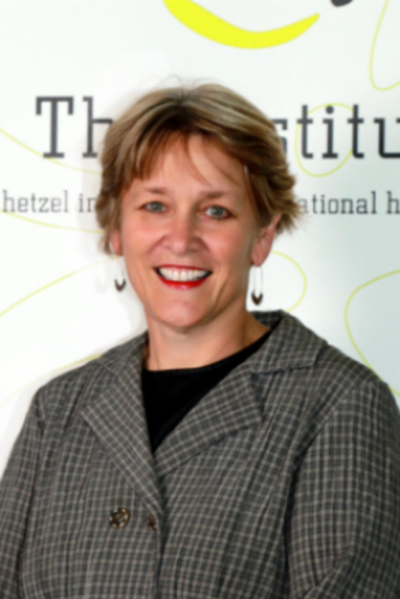 Since 2008, she has played a central role in the leadership of UniSA’s interdisciplinary and thematic research strategies in human rights and ageing, assuming a leading role in the establishment of interdisciplinary research networks working on collaborative projects with industry, government and the wider community. Kurt is the current Head of School for the School of Psychology, Social Work and Social Policy at the University of South Australia where he is responsible for leading teaching, research and community engagement. Kurt completed his Masters of Psychology (Clinical) and PhD at Flinders University of South Australia in 1998. His main research interest is sleep and its disorders. 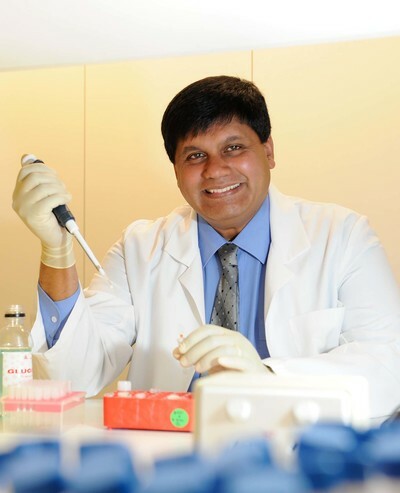 He is the current chair of the Australian Sleep Association sub-committee for Behavioural Management of Sleep Disorders, a fellow of the Australian Psychological Society, World Sleep Association and Sleep Research Society and a practicing clinical psychologist specialising in the treatment of sleep disorders. Ralph is a leading expert in Alzheimer's disease, whose career spanning 30+ years, has resulted in 350+ publications in mid to high impact journals. He has established a research unit currently comprising 60+ research staff and postgraduate students, who are working to understand the cause(s) of AD. His research has led to the identification of 3 novel drug candidates, attracting Federal funding and the interest of key commercial partners. He is the winner of a number of awards, including 2010 WA Australian of the Year, 2011 WA Citizen of the Year and was awarded an Australia Day honour Officer of the Order of Australia (OA) 2013. He holds board memberships of 3 research foundations, several committees for national research organisations. His research is world renowned and is considered an international expert in his field. Jane is the Chief Executive of the Council on the Ageing in South Australia (COTA SA), an older people’s movement promoting the rights, interests and futures of South Australians as they age. Jane joined COTA SA in 2015 from ACH Group where she had been part of their Executive team since 2001, initially managing the Health and Community Services Division and then heading up People and Innovation. Prior to that Jane was the Manager of the State Government Office for the Ageing. Jane is a member of the National Aged Care Alliance Home Care Reforms Advisory Group and the Federation of Ethnic Communities Council (FECCA) Healthy Ageing Reference Network. Jane is also the Deputy Chair of Cirkidz. Jane is a past Winner of the SA Innovation Award in the Telstra Business Women’s Awards and of a Sanicare Scholarship to visit aged care in Malta and the Netherlands. Jane has a Masters’ Degree in Social Work (majoring in social policy and research) from the University of Michigan. Kevin is an experienced Chartered Accountant and recently retired as a partner of PwC. He occupied many leadership positions in both Sydney and Adelaide. He served clients across a wide variety of industry sectors and has experience in audit, financial reporting, acquisitions and sales of businesses, capital raising and risk management. 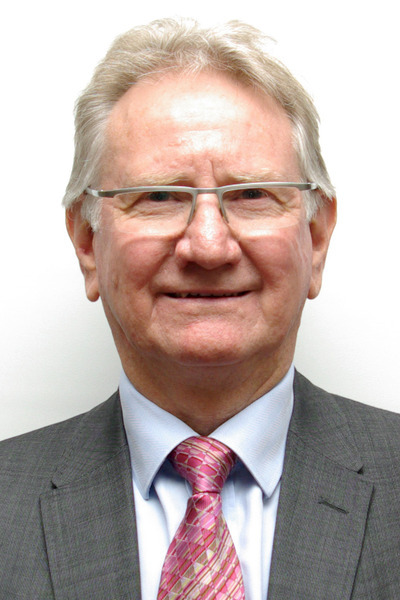 He has a passion for the for-purpose sector and is currently a director of Can:Do Group and Meals on Wheels SA, where he is also honorary treasurer. Trevor is a Business management and innovation advisor, Independent Director, Board Advisor and Mentor. Trevor is the MD of InteractCM, and is highly regarded as a ‘thought leader’ with over 30 years experience in strategic business and customer management. His innovative & strategic results driven approach and expertise has led him to be retained as a consultant and advisor by both small to medium enterprises and some of Australia’s large companies alike including AMP, Apple Computers Australia, ANZ, BigPond, IBM Australia & Worldwide, Westpac and WorlyParsons. Trevor is a former Partner of Touche Ross / KPMG, holds a Bachelor of Arts, Accounting University of South Australia and is a FCPA and CMC.